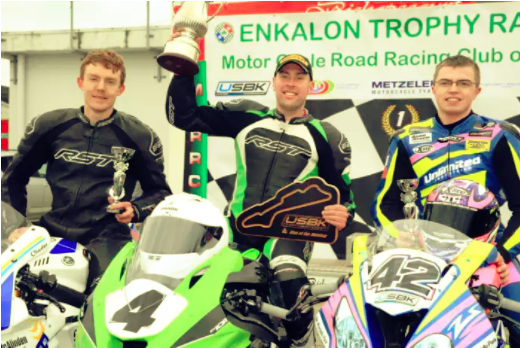 In the feature races competing for the 41st Enkalon Trophy it was Randalstowns Gerard Kinghan who was the man on form, winning both races from last years Superbike Champion Charles Stuart. Race one Kinghan on his Kawasaki ZX10R had a start to finish lead taking the chequered flag 4.73 seconds in front of Stuart. Adam Mclean using the weekend to get some miles on his McAdoo Kawasaki in preparation for his assault on the road racing championship was third with Ali Kirk and Luke Johnston completing the top five.Race two it was Stuart who led off the line a lead he held until lap four when Kinghan made his move to the front and managed to hold off the hard charging Yamaha rider eventually opening up a slight gap and taking the win by 1.56 seconds, securing the Enkalon Trophy victory. Luke Johnston finished third from Ali Kirk and David Haire who, making his comeback after a two year break didn’t quite have the return he was hoping for when he slid off in race one, but returned in race two to take forth place. 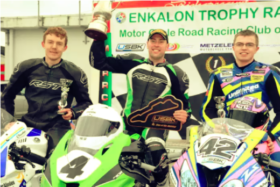 There was only one supersport race, this was won by Korie McGreevy who snatched the win in the closing stages of the race after a close fought battle with Jason Lynn the pair swopping the front spot throughout the race. Kia McGreevy took the final podium place ahead of Christian Elkin and Joe Loughlin. Race two was cancelled after two red flag incidents and the organisers decided it was to dangerous to continue due to the rapidly cold temperature off the track. Other winners were Chris Campbell who had two wins in the cup races. Darryl Tweed won both lightweight Superport outings. Johnny Irwin did the double in the Pre Injectio 250GP Races. 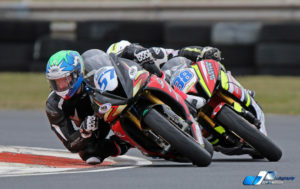 Paul Robinson had a win in the first Production twin & moto 3 (125) race, Kevin Lavery won race 2. And Cameron Dawson was the young guns winner. 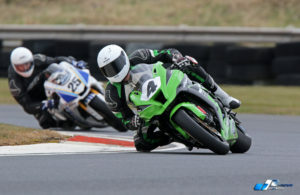 With weather permitting round two of the Ulster Superbike Championship will be held at Kirkistown Race Track on Easter Monday.